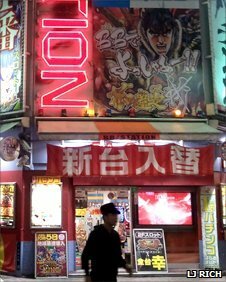 BBC News - Is the Japanese gaming industry in crisis? Is the Japanese gaming industry in crisis? From Sonic to Solid Snake, Mario to Mega Man, the Japanese love video games. While it's taken years for games to become mainstream in the West, videogames are now as much a part of Japanese popular culture as the Walkman and Anime. Their influence can be felt all over popular Japanese culture but, as Western developers are enjoying unparalleled global success with huge open world games and first person shooters, is the Japanese gaming engine about to come off the tracks? "Everyone's making awful games - Japan is at least five years behind," he said. "I don't think that Japanese games can't ever be popular overseas again. But they won't be popular any more in their pure state. It's like sushi. Everyone loves sushi in the West, but you can't just serve sushi over there like it is in Japan. "Japan is isolated in the gaming world. If something doesn't change, we're doomed." And he is not the only one who thinks this. In 2002, it is estimated that Japan accounted for nearly 50% of the world's gaming market. 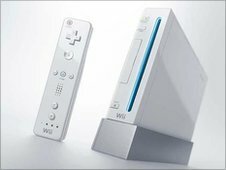 That has now fallen to around 10% and without Nintendo, with the success of the Wii console, the figure would be even lower - around 8%. "I've been in the game industry for a while and have some worries and concerns that the Japanese game industry's influence has become weaker and weaker in recent years," says Kaz Takeshita, general manager of games company UTV Ignition. "The video games industry was born in Japan and then exported overseas. When the business side of things rather than creativity is prioritised, when efficiency and profitability is prioritised, creativity and originality is undermined." Some of the most popular Japanese games are very different to titles played by Western gamers. And while Japanese games traditionally enjoyed success in the West, the same is not true of Western games in Japan. Sci-fi first person shooter Halo Reach topped the video games charts across Europe and the US but in Japan only reached the number four spot in the sales charts. Hirokazu Hamamura, president of Enterbrain - the company which publishes Japan's most popular video games magazine Famitsu - thinks there are fundamental differences between Western and Japanese gamers. "Halo's theme is warfare," he says. "The Japanese don't like shooting and war games very much. They prefer playing in fantasy worlds and battling with swords. I think there is very little interest in fighting with guns and this sort of combat game." "It's only my guess but European and American game designers are probably more inspired by movies. In Japan, many creators are inspired by comics and animé. I think that's the big difference. 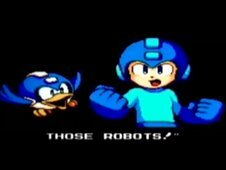 "There's another difference in graphics - European and Americans prefer realistic visuals whereas Japanese prefer more cartoon-like characters." So if the games and gamers are different, how do Japanese software designers create titles which compete on the world stage? At the Tokyo Games Show, Inafune pushed for higher investment in games and said that it could be too late to start entering the US market - instead he is looking to "the next big market", China. Yet developers are still looking towards the West in their attempt to globalise. In Tokyo's Shibuya district, a team of developers with credits that include the Devil May Cry games and Okami has been assembled to work on their next project, yet this company - UTV Ignition - is actually UK-owned and bankrolled with Indian investment. It has its eye firmly on creating games with a global appeal. "From the start we focused on a multinational feeling and wanted the game to look like it doesn't belong to a specific place," says Sawaki Takeyasu, game director of UTV Ignition. "We're satisfied with the result. The reason why this game looks very 'Japanese' to Western observers is because the Japanese make sophisticated games and it shows through." But with over 350m units of the most recent generation of hardware sold worldwide and a global video entertainment and media industry that is expected to grow to $1.7tn (£1tn) by 2014, it is a market that - despite the increased competition - many companies believe is worth fighting for. "Game consoles are widespread and machines such as the PS3 will continue to grow," says Hirokazu Hamamura. "There are rumours of Wii-2 and games for the iPad and iPhone have started to become more popular too. Social games for mobile phones are extremely popular. "The number of gamers has dramatically increased, but there're more platforms hence more rivals for us. "Japan's games industry is at a turning point."